Fear and anxiety sap your energy and happiness. Think of it like when your computer is running sluggishly—it still works, but the programs take forever to load. Fear in the body works the same way. You have energy, but it is heavy and congested. 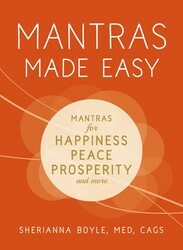 From Mantras Made Easy. All your body’s energy vibrates, but fearful energy vibrates at a low level because it’s not circulating properly. Your body may be hanging on to unconscious memories, beliefs, and feelings that are fearful in nature. When left unresolved, over time these fears can manifest into physical and emotional conditions, such as chronic worry, nervousness, tension, headaches, back pain, and more. Mantras can change the story from fearful to fearless. They do this by digging deep into the root system of fearful stories, beliefs, and thoughts. As the energy of these mantras begins to enter your body, don’t be put off if you feel some discomfort. Discomfort is a sign of growth and is an indication that old energy is transforming into something new. 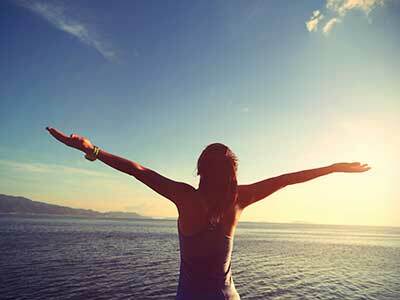 (Yes, contrary to what you might believe, you don’t get rid of anxiety; you transform it!) You have the power to do that—and mantras are a tremendous resource.